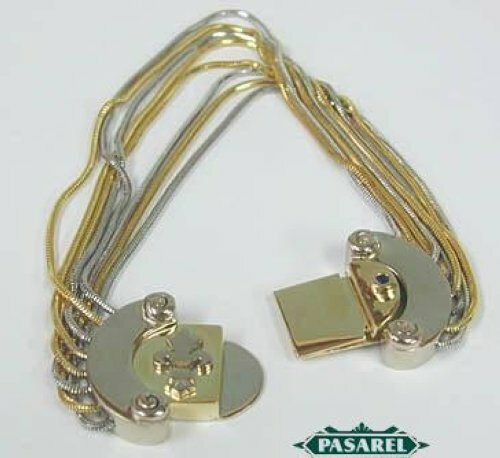 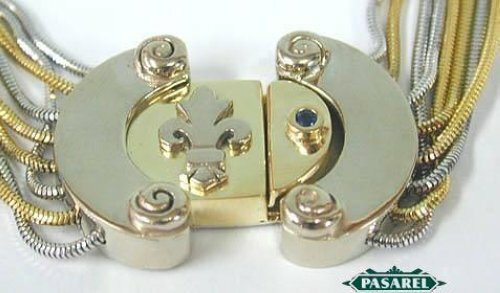 The clasp is uniquely shaped and hand made out of two external parts in a shape of half a moon in white gold, while the internal part with the clasp in it in yellow gold with white gold fleur-de-lis soldered on it.The clasp is set with 0.05ct blue sapphire. 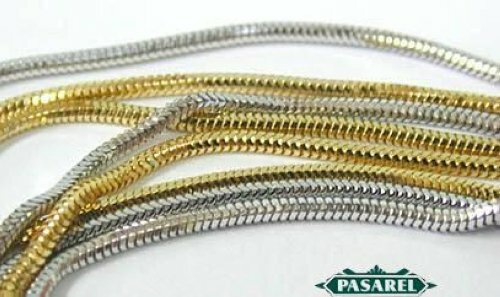 The bracelet consists of snake chains in yellow and white gold intermittently. 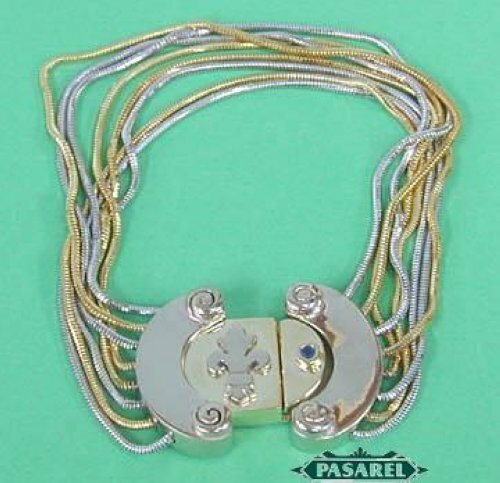 We use a natural white gold which is a bit yellowish, however, if you prefer your jewelry snow white gold, we will treat it with rhodium for no additional cost. 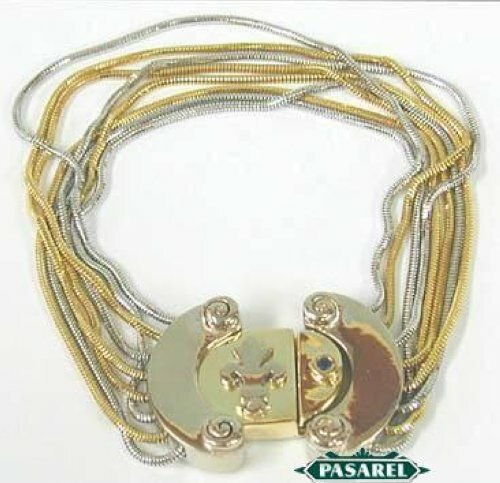 Billy (In Hebrew), 585 for 14k gold.